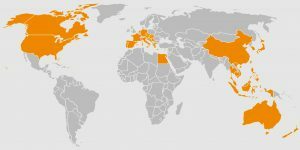 Southeast Asia has SO many incredible places to visit, I honestly had the hardest time choosing just 10 of them. We lived and breathed SE Asia for 2.5 years and it’s still my favorite place on the planet. Once you go, you’ll really understand just how amazing and unique SE Asia is. There is NO other place like it in the world! You cannot go to Hong Kong without taking a ride of the Peak Tram. The top offers the most incredible views you could imagine of the city! For more information about Hong Kong, check out my Blog Post or Video! 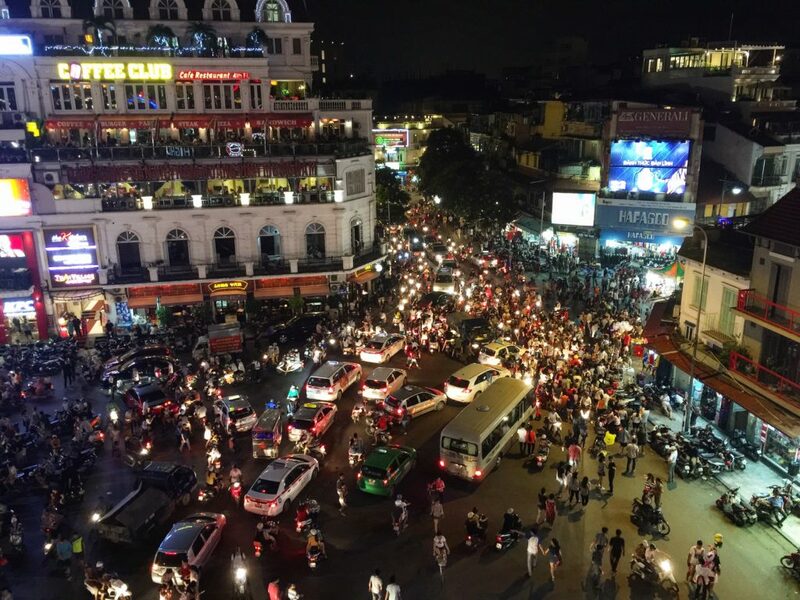 Hanoi is it’s own beast and, if you haven’t been, there really is no way to describe just how crazy it is…you have to see it for yourself! Just crossing the street is an adventure in its own! 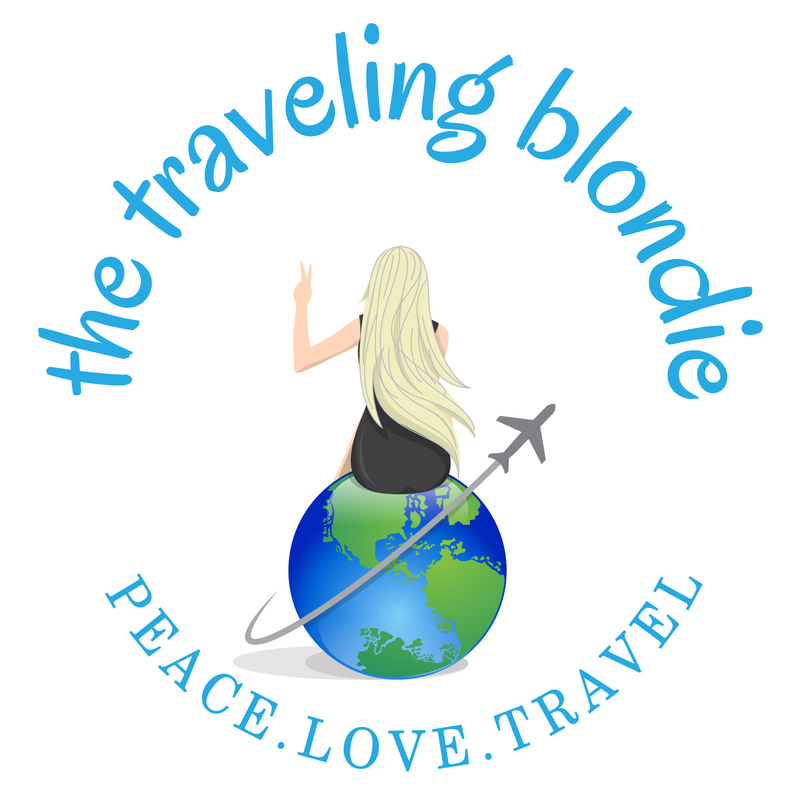 For more information about Hanoi, check out my Blog Post and Video! 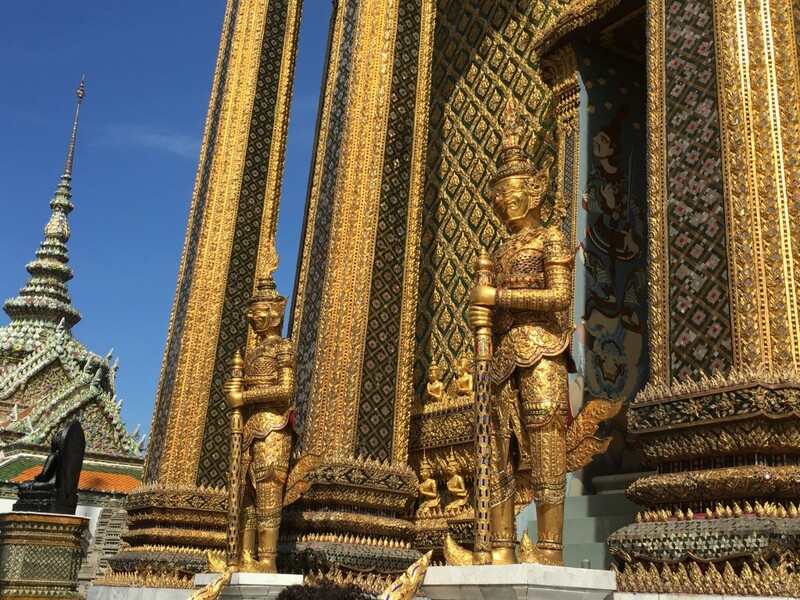 The Grand Palace is like the Vatican of the East and is completely covered in GOLD! You could spend hours here just basking in all the tiny details that each structure has. For more information on the Grand Palace and the amazing city of Bangkok, check out my Blog Post or Video! Balinese Rice Terrace? Enough Said. Oh Bali….it really is a magical place that is truly unforgettable. The rice terraces are like nothing I’ve ever seen in my life and should be a MUST see on your list as well! 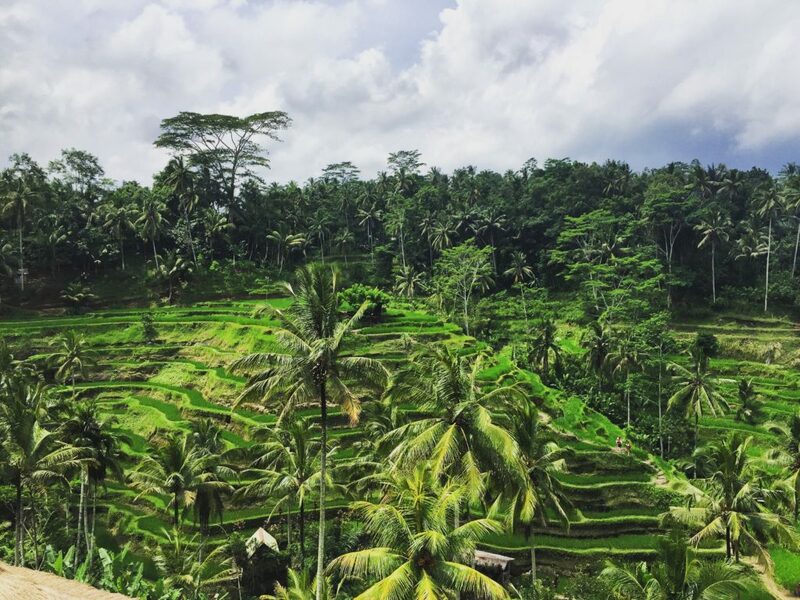 For more info about Bali and the rice terraces, check out my Blog Post and Video! El NIdo Still Has My Heart! 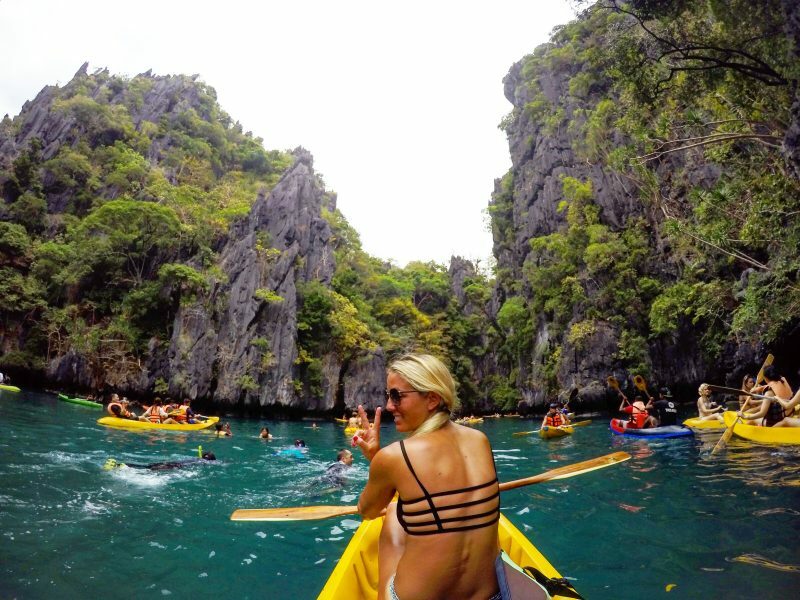 El Nido is one of the most beautiful places I’ve ever been because, not only is the scenery breathtaking, but the food, the people and small town together with the scenery make you just completely fall in love. Check out my Blog Post and Video about El Nido for more info! Not only are the Khmer people gentle and kind, the entire city of Siem Reap has an energy about it like no other! 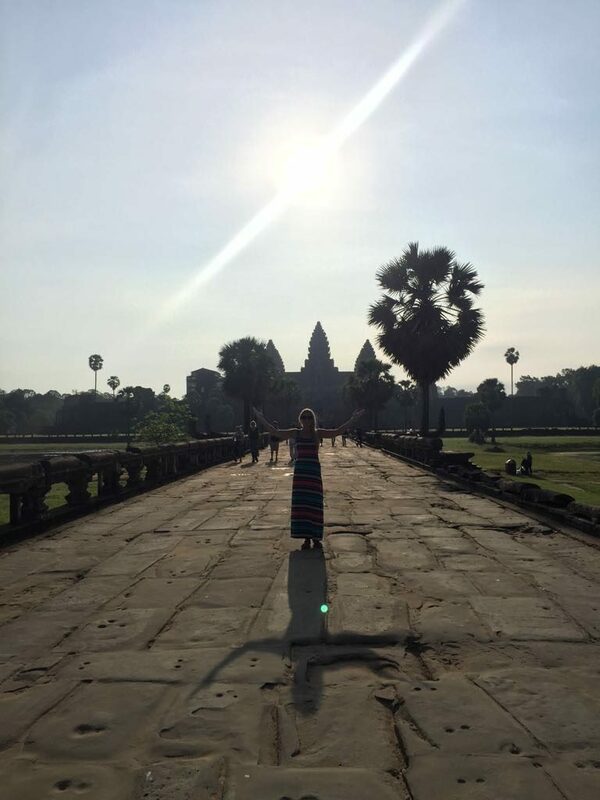 Angkor Wat is a no brainer for your visit to SE Asia! For every detail, check out my Blog Post and Video about Siem Reap! 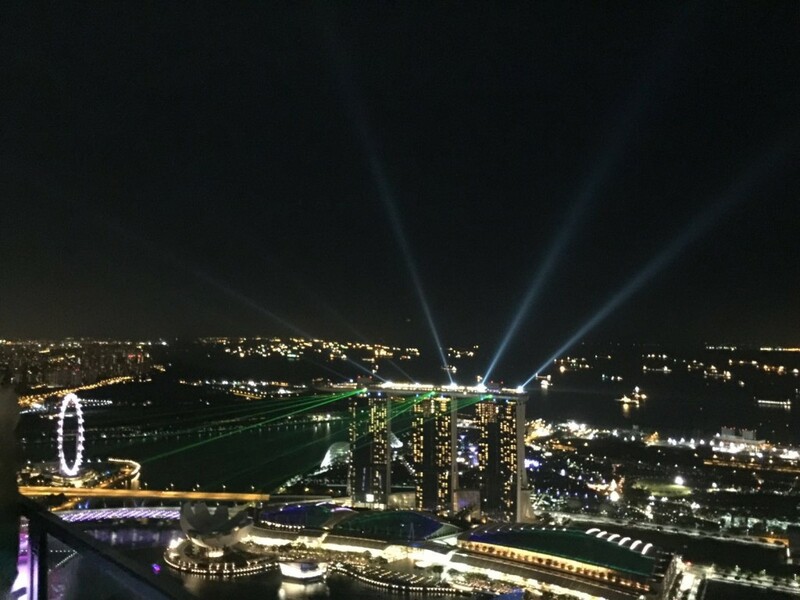 We lived in Singapore for two wonderful years and I can honestly say that every time I saw Marina Bay, I still was complexly awestruck. The architecture of this city is truly state of the art and unique all in its own. 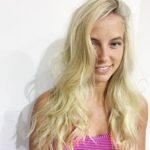 Check out my Blog Post and Video about Singapore for more info! 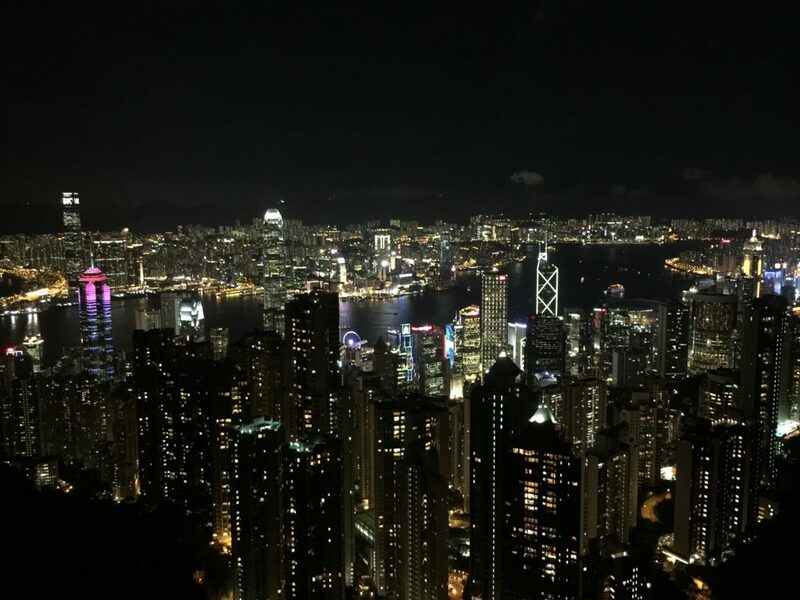 When you think of Hong Kong, you think of the city, but there is this amazing hidden gem just outside of the city called Dragon’s Back and it CANNOT be missed! We’ve hiked a LOT of places all over the world and Dragon’s Back is still my favorite. The views from the top are just gorgeous! 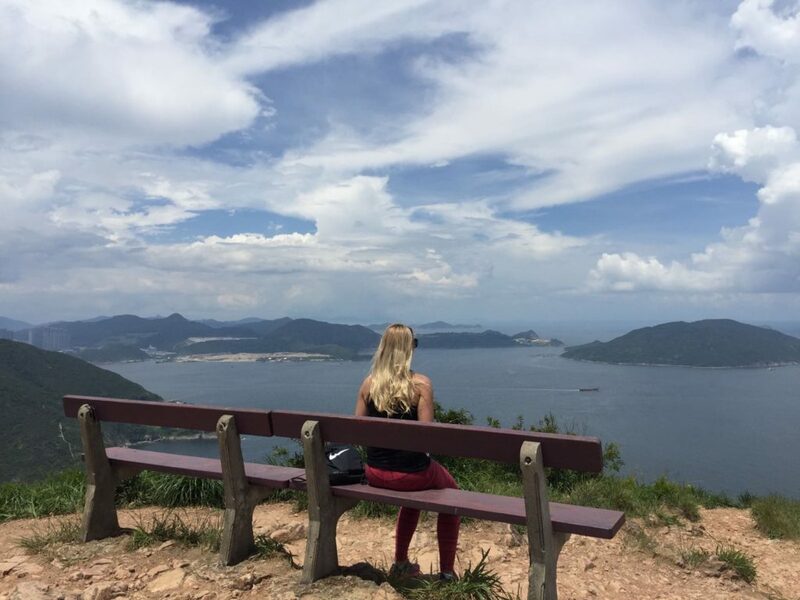 For more info about Dragon’s Back Hike & Hong Kong, check out my Blog Post & Video! 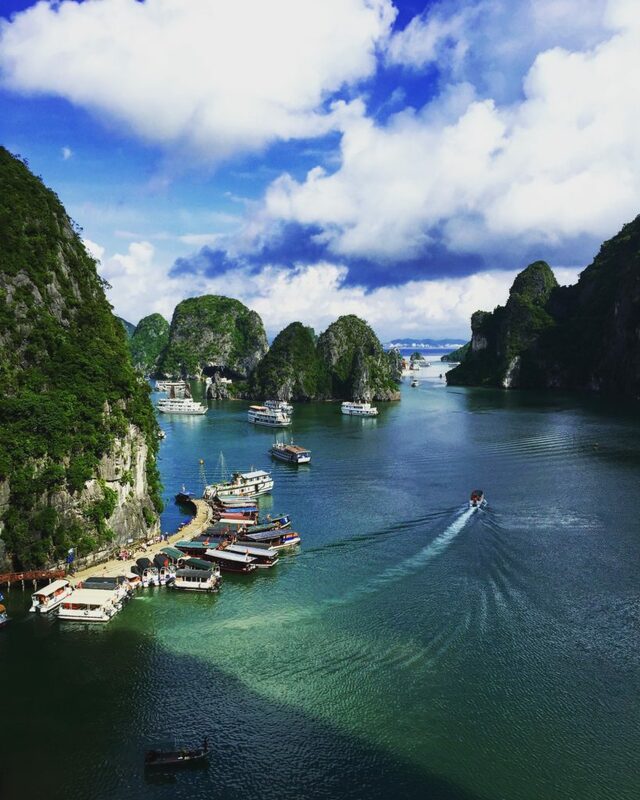 One of the 7 naturals wonders of the world, Halong Bay is unforgettably serene. Put that together with the kind and peaceful Vietnamese culture and delicious food, and it’s a total winner. For more info about Halong Bay, check out my Blog Post and Video! Of Course Maya Bay Would Be My Numero Uno, It Is EPIC! 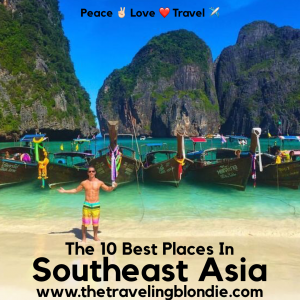 Thailand has some of the most gorgeous blue waters and white sandy beaches we’ve ever seen, so it’s a no brainer that this is number one! Check out my Blog Post and Video for more info about Maya Bay and Phi Phi Island!